The Maximum Continuous Rating (MCR) is the maximum output which the boiler can delivery when operated at a specified set of conditions. Alternatively, it can be understood as the minimum assured production of steam in a boiler. The MCR. A well designed and maintained boiler will produce an output equal to the MCR value throughout its life. A new boiler can be operated at 8 to 10% above the Maximum Continous Rating. However, the excess capacity is, usually, lost with age. The Normal Continuous Rating (NCR) is the rating at which the boiler will be operated normally. The NCR is about 90 percent of the MCR. The NCR is determined based on the rating of the turbine. 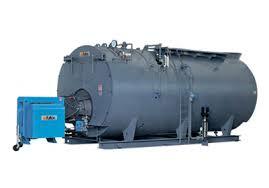 The boiler is designed to have maximum efficiency at NCR.